This fun NO-PREP math center is the perfect way to have your students practice their math skills with a forest theme! These centers are also a great addition to your camping themes! A total of three different pattern block centers are included. Six different picture cards are included for each center. 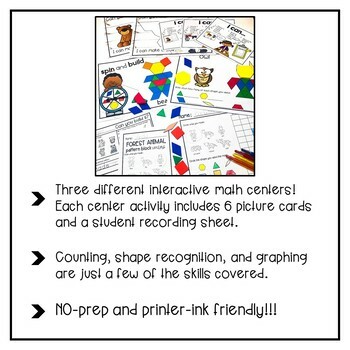 Your students will love practicing shape recognition, graphing, counting, and so much more with these fun interactive centers! 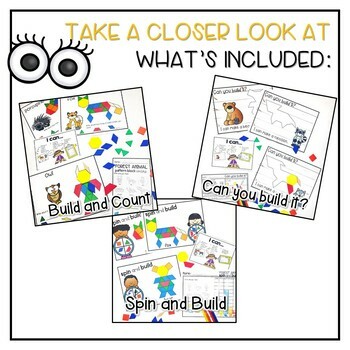 These activities are perfect for early finishers and make a great addition to your morning tubs! 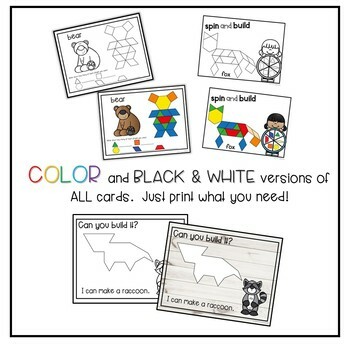 ➜ Both color and black and white versions of each pattern block card. Check out the preview for a closer look at this product. 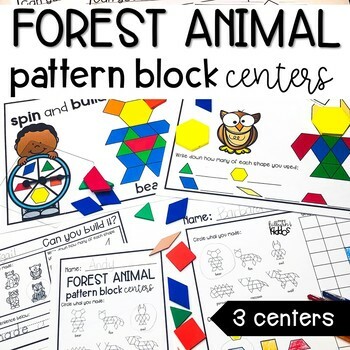 If you are looking for other great animal or pattern block activities, you may want to check out the following items.